Nashville, TN – Tennessee Governor Bill Haslam and Major General Max Haston, Tennessee’s Adjutant General, announced today that more than 2,000 Tennessee National Guard troops will respond to East Coast states to assist in rescue and recovery operations in the aftermath of Hurricane Irene. The Emergency Management Assistance Compact is a congressionally ratified organization that provides form and structure to interstate mutual aid. Through EMAC, a disaster impacted state can request and receive assistance from other member states quickly and efficiently, resolving two key issues upfront: liability and reimbursement. The Tennessee Guard’s 278th Armored Cavalry Regiment is scheduled to begin movement Monday of more than 2,000 Soldiers to stage at Fort Pickett, VA, as a Quick Reaction Force ready to respond as needed to assist existing forces in Virginia, West Virginia, Maryland and Delaware. Their primary mission is to save lives, maintain peace and order and mitigate human suffering in the aftermath of the hurricane. The 278th will be augmented with a Joint Incident Site Communications Capability unit to establish radio, telephone and internet access during the operation. The 278th will also be augmented with four Military Police Companies from the 30th Troop Command, the 45th Civil Support Team, and the 1176th Transportation Company from the 230th Sustainment Brigade. The Tennessee Army National Guard is also scheduled to move a total of five UH60 & HH60 Blackhawk helicopters from the 1/230th Air Cavalry Squadron to North Carolina to conduct MEDIVAC, search and reconnaissance and movement of supplies and personnel in support of the North Carolina National Guard. 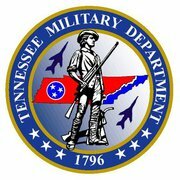 Earlier this week the Tennessee National Guard received aircraft from coastal bases along the East Coast threatened by Hurricane Irene. More than 80 evacuated aircraft have been accepted at four National Guard facilities in Nashville, Smyrna and Knoxville.